As a girl who considers herself one of the farthest things from a trend follower, I kinda just dismissed the idea of all this talk about ‘safer beauty’ that has surfaced in 2019. There has been so much hype around using natural products on our skin instead of what’s typically found in the aisle of our drugstores. I mean, I had been using the same brand of eyeliner and mascara since the sixth grade – no joke! I have consistently bought Maybelline Unstoppable black onyx eyeliner (and the volumizing mascara to accompany) for over 15 years. I probably wouldn’t have stopped any time soon either, until one day I heard someone talk about how she found out there was propane in her dry shampoo. Propane…? What! I ran to my bedroom to check mine and one of the first ingredients: Propane. I was appalled. Things started clicking in my head that I was literally putting ingredients that were found in lawn mowers and grills directly on my eyes, in my hair, on my lips (yikes) and I realized that ignorance really isn’t bliss. Where do I even start with clean beauty products? 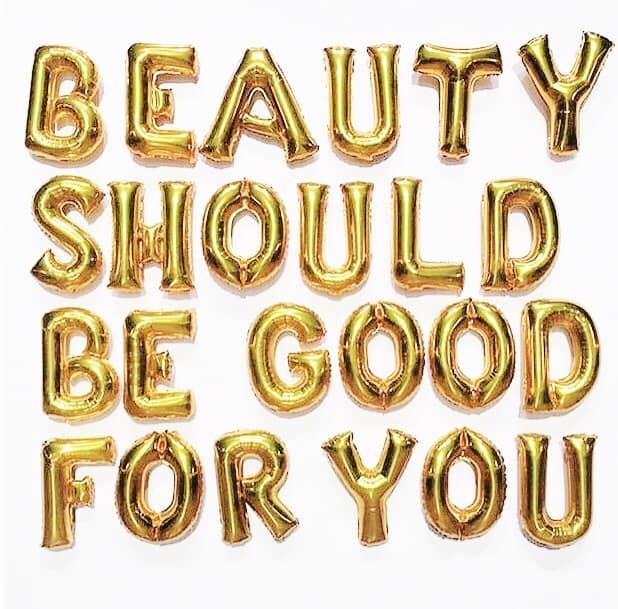 There were a few of my friends and people in the social media world who started to swear by cleaner beauty products and it really started to pique my interest, especially because it seemed like brands were actually making good products that worked now. Prior to this, I actually had already been using one natural product so far: deodorant. 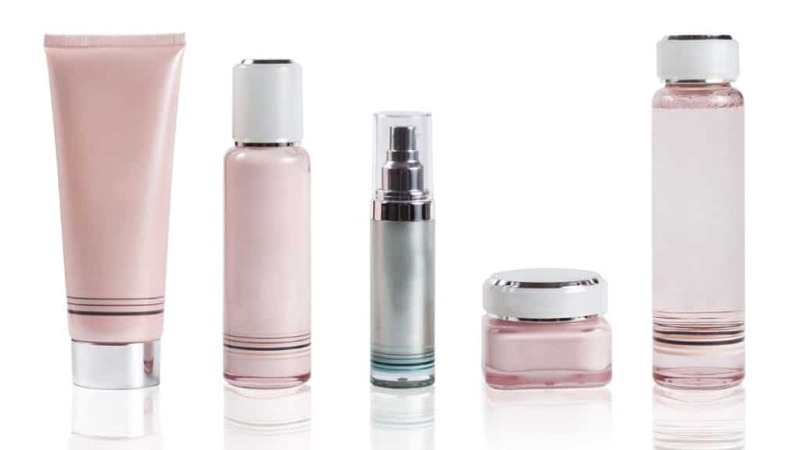 I decided to make this switch about two years ago because it is one of the most talked about skincare products in the safer beauty industry. I saw a plethora of brands out there, so I decided just to take it to myself to try them out. So on my own accord, I took myself to Target and bought one of the first natural deodorants I saw. I tried it. It didn’t really work, it was so bumpy going on that I was almost immediately reaching for my conventional deodorant. But I decided to stick with it because there was a podcast that I listened to from a medical doctor and how she always recommended using natural deodorant because of the fact that your armpits are so close to your breasts and she doesn’t think the aluminum in regular deodorant is good for women and it also made her nervous about developing certain types of cancer. Well, just hearing that word immediately flipped me out and even if it wasn’t causing cancer, I felt like it was time for me to completely make the switch. 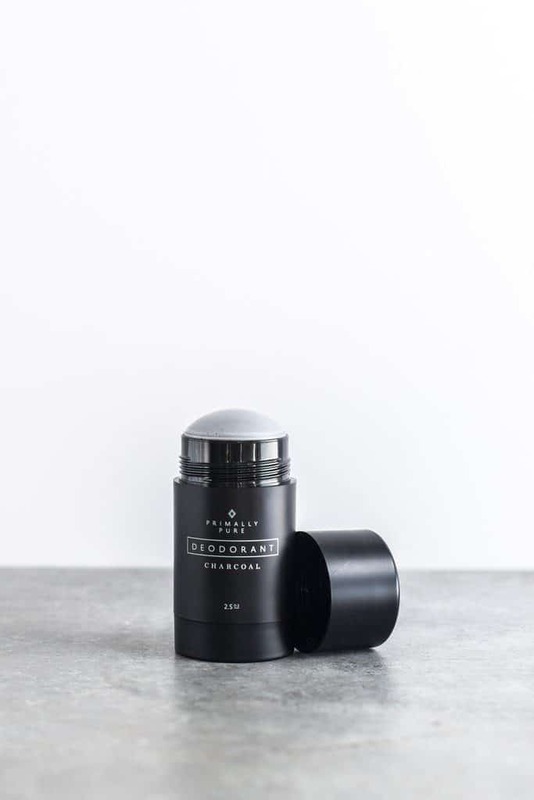 After trying several deodorants and not really being satisfied, I was hesitant to try another, but I kept hearing about Primally Pure and how it is different than your typical natural deodorant, so I figured, why not order myself some? The minute I received the package and the deodorant went on smooth and just like my conventional drugstore deodorant, I knew I was going to like it. Not to mention it literally tamed my incredibly sweaty pits – seriously. But anyway, I started off with the lemongrass one because the charcoal was out of stock, but I loved starting with the lemongrass and am glad I did. I now rotate between the lemongrass, the blue tansy (favorite smell! ), and the charcoal. The charcoal is best for intense sweaters and I use that on days where I know I’m going to be really active. Their products are unlike any other and I’m so glad I feel confident and comfortable in a natural deodorant. There is really no worse feeling that being afraid that you’re sweaty and you smell, right? After dabbling in my first ever serious natural deodorant, it took me a little while to hop on the safer beauty + skincare train. Until it was October of 2018 and I was diagnosed with melanoma. My whole world flipped. I remember cursing my 17-year-old self for wanting to go tanning so bad and doing anything she could to make sure her red-headed self wasn’t the palest one at the winter dance. But then tanning for winter dance turned into tanning for Senior class trip and then mine as well keep it up because prom was a few months away. And why not just go into college tan, too? Well, I did just that. And didn’t think any of it would ever come back to haunt me. I share more about that story in my battle with melanoma post, but just know that if I was able to stop that horrifying fear from happening again, that was going to be the last time I would consciously put myself in danger of getting cancer. I knew I needed to do whatever I could to prevent any more health scares of any type (not just melanoma) so I dubbed 2019 the year of cleaner beauty. So 2019 kicked off and I decided to dive into safer beauty products. January 1st came along and I decided I would start making the changes. There are SO many brands on the market and it’s so easy to get overwhelmed, I get it. I was SO overwhelmed at where to turn and what to try first. Walking into the aisles of Whole Foods, there are thousands of different natural products for every little inch of our bodies so I decided to take it to Instagram to ask around what everyone was loving for natural beauty. I knew I wanted to switch over everything from my skincare, my make-up, my perfume, to my shampoo and conditioner too! But I needed to start small. 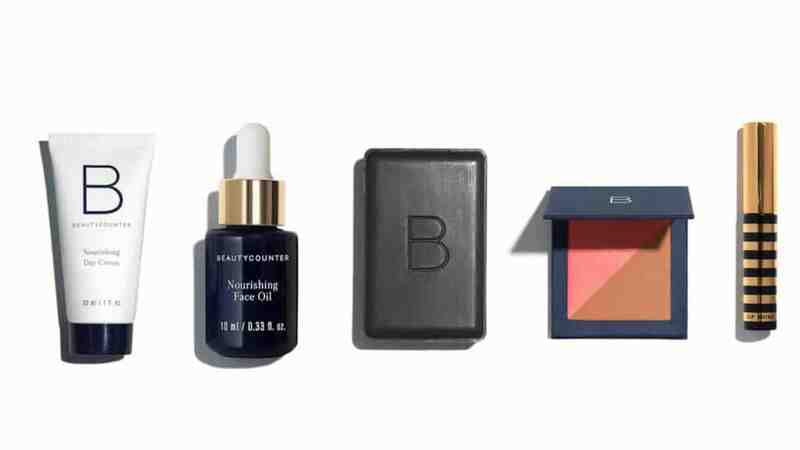 Without a shadow of a doubt, Beautycounter was one of the most popular, loved, and recognized choice among my followers so I did what anyone would do and went to their website to see if I could find out more about their products and their clean beauty. I immediately was so excited to see that they had everything from skincare routines, to stuff for babies and kids, stuff for me, and make-up, too. They have been recognized in Allure magazine, Cosmopolitan, NYTimes, Refinery29, and so many more, so I figured there was something good going on here. They also have “Never List” which is made up of more than 1,500 questionable or harmful chemicals that they never use as ingredients in their products. SO I figured, hey, if I can make a few simple swaps, and feel good about the company behind brand (they are a B- Corp! ), why not try. I ordered some of their products to see if I liked them and started with a basic make-up kit (Flawless in Five) and a skin care regimen (Countermatch) that had cleansers, serum and lotion in it. I also noticed that they had regimens for people who are acne prone or have aging skin, I got the one for normal/dry skin. Dew Skin Moisturizing Coverage– lightweight sheer coverage, spf 20, slightly tinted. Allure magazine best seller and is amazing. Radiant All Over Bronzer, obsessed with bronzer right now. Satin Powder Blush – I use melon! Velvet Classic Eyeshadow Palette – just as good as my old Naked palette. These are just a handful of the safer beauty products I’ve been using for my make-up, but I’ve also been using a ton more and slowly trying out all of the BC products. Right now I am using Beautycounter’s sunscreen and their Dew Skin which has SPF 26 for all of my sunscreen needs. This one was hard for me because I really like my drug store shampoos and conditioners. I’ve never been one for fancy hair-care because I’ve never really had to be. I don’t color my hair, I have thick, curly hair that needs to be scrubbed with a lot of shampoo and conditioner so buying anything that was more than $10 seemed like a waste to me because I would go through it so fast. Plus I literally sweat a ton, and am intensely exercising 5-6 days a week and that requires me to wash my hair 5-6 times a week. I’ve also heard that cleaner beauty hair care doesn’t really ‘clean’ and can leave residue so I was hesitant. But then I was introduced to Seed Phytonutrients. I had heard about Seed Phytonutrients beause they are actually a ‘local-to-me’ brand, however they have recently been placed in Whole Foods Markets and Sephoras across the country! 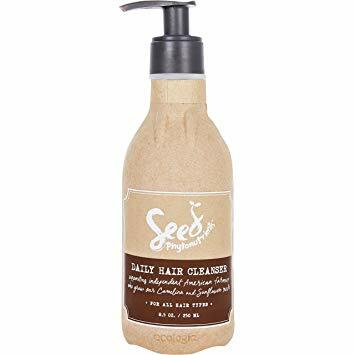 They create natural, sustainable, and affordable hair care and other beauty products made from, you guessed it, seeds. They partner with local, independent farmers to help get these seeds, all while making sure everything is farmed sustainably. They then take these seeds and create incredible products for hair care and body. Good enough for Sephora + Whole Foods…so you can guess how good the actual product is. They seriously thought of it ALL, even down to the bottle. The shower-safe paper bottles are made of 100% post-consumer recycled paper with a post-consumer recycled liner. How amazing is that? And guess what? The shampoo and conditioner is amaaaazzzing!!!! It suds up (which doesn’t always happen with clean beauty), cleans well, and the best part? It smells amazing. Also this is not sponsored at ALL, I buy it with my own money, I just absolutely love the product and the brand and want to share. And the absolute hardest of them all? Perfume. I love my Flowerbomb by Viktor + Rolf. That is MY scent! I really didn’t want to switch but knew that if I was switching everything else I mine as well go all in. 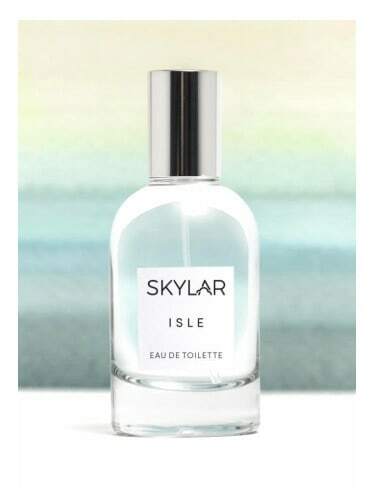 I’ve tried a few perfumes: Pacifica and Skylar, and I also tried using essential oils. And my favorite without a doubt is Skylar. It smells SO good and you would never know it was ‘clean’. I tried their sampler pack so I got to sample all of the scents and my favorites were Isle and Meadow. Really didn’t like Pacifica at all because it smelled like straight up alcohol to me and I couldn’t really get passed that. I still want to try Phlur, By Rosie Jane, and Lurk. I’ll share about those on my beauty newsletter! SO yeah! That’s my journey with switching to safer beauty products so far. It’s going to be a life time journey and I know I won’t be perfect but I’m willing to take baby steps to get there. If you want to follow me more on this journey, sign up for my safer beauty email list where I navigate my journey through finding cleaner beauty products and sharing my favorite products, giveaways, promotions, discounts + more! What about you all? Any favorite clean beauty products that I need to know about?